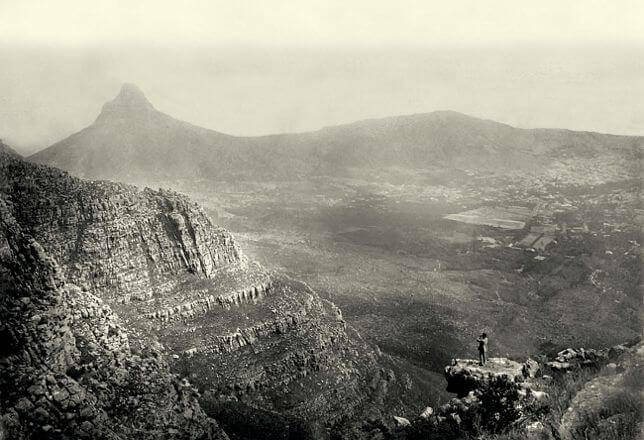 There is plenty of history about Table Mountain. People have been traveling to this famous South African landmark for centuries. It is known to be one of the oldest mountains in the world. And today a regular attraction for locals and tourists from all over the world, taking part in hiking and other outdoor activities. Despite, being ever changing with natural erosion and rock formation, Table Mountain is said to be over 200 million years old (with some rocks around the base estimated at 500 million years old). And it has lived through a timeless series of events that have all helped shape their way into South Africa and Cape Town’s history. It can also trace some of its roots back to the Stone Age, as findings of rock cutting tools and axes were discovered in Kirstenbosch Gardens. Before the Dutch settlers arrived, Table Mountain was home to the KhoiKhoi and San peoples, who migrated to the Cape Peninsula over 2000 years back. The Khoi and San people were also some of the first inhabiting tribes that the British encountered when they made their journey South. The Khoi tribes called it “Hoerikwaggo” which can also be translated as “mountain in the sea”. This is quite fitting as it truly looks to be settled in the deep seas of the Western Cape. These tribes also hailed the mountain sacred because they believed that their god resided on the mountain. Various explorers and settlers, like Bartholomew Dias, Vasco de Gamma, and several others beheld its majestic splendor, way back in the 1400’s. Nobleman and explorer, Antonio de Saldanha climbed the grand mountain during 1503 and proudly named it “Tabua do Cabo” which means “Table of The Cape” in Portuguese. This also marked the very first hiking ascent up Table Mountain. Dutch settlers Jan van Riebeeck and his crew found the prestigious Table Mountain an incredible sight when they arrived in the Cape during the 1600’s. The 1800’s and 1900’s many developments took place on the mountain, including 5 dams rope mechanism securing in place. It served to transport water, materials, and workers to Camps Bay from the Table Mountain station, during the waterworks program. Over the years, Cape Town had better water supply and the dams were no longer essential. Reaching the summit of Table Mountain became an absolute must and an effortless delight, made possible by the building of the cable car in the 1920’s. Table Mountain experienced its fair share of wildfires which sadly destroyed much of the mountain. This introduced a campaign to help save the mountain in the 1900’s. Table Mountain also forms part of the Table Mountain National Park, formerly known as Cape Peninsula National Park. In 2012 Table Mountain is also one of The 7 Wonders of Nature and a UNESCO World Heritage Site. A proud moment for South Africans. Table Mountain always had a special place in former president Nelson Mandela’s heart. The Mountain resembled a beacon of hope, as seen in the distance from Robben Island. The Western Cape government paid tribute to Nelson Mandela by lighting up Table Mountain with his image. 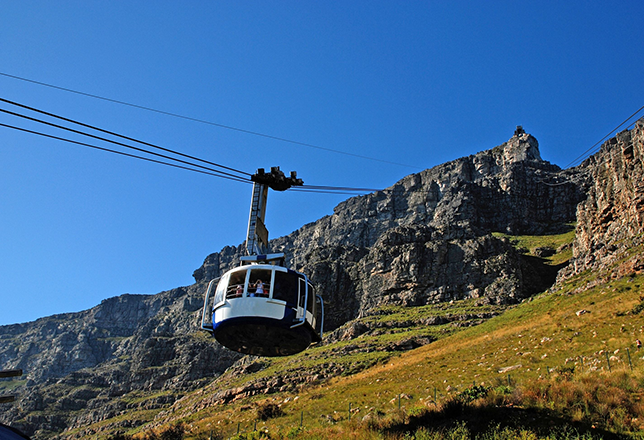 The Aerial Cableway is one of Table Mountain Cape Town’s most popular destinations for locals and tourists alike. Being able to enjoy a scenic ride up, with the most picturesque, and breathtaking views is something you have to experience for yourself – that is if you aren’t going to hike up. The iconic Table Mountain and the cable car share a history that dates back more than 80 years. 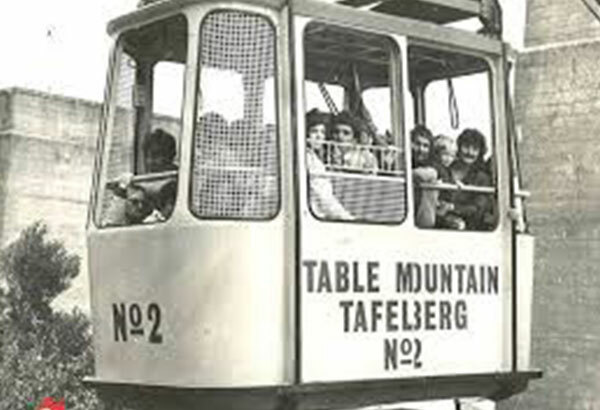 In 1912, many suggestions were revised for a means of transportation from the ground and up towards the “tabletop” of Table Mountain. Engineer HM Peter recommended a funicular railway line running all the way up. The year 1929 marked the beginning of a long-lived tourist attraction as this was the birth of the Aerial Cableway. Halts in construction plans came because of WWI as well as the Anglo-Boer War. However, it was only a bit later when Norwegian engineer Trygve Stromsoe suggested a cableway to run all the way up, did construction towards this goal commence. This project took 2 years to complete at a cost of £60, 000, which was £40, 000 less than the initial funicular railway suggestion. The first cable car was made to accommodate 20 passengers and run in 10 minutes intervals. Today the cable car can carry a weight of 5200 kg at a travel speed of 10m per second. You cannot argue that this undeniable, age-old love affair that not only for South Africans, but also for visitors from abroad that are looking forward to seeing the mountain. The trip up the Aerial Cableway remains the highlight of many folks’ visits to The Mother City.